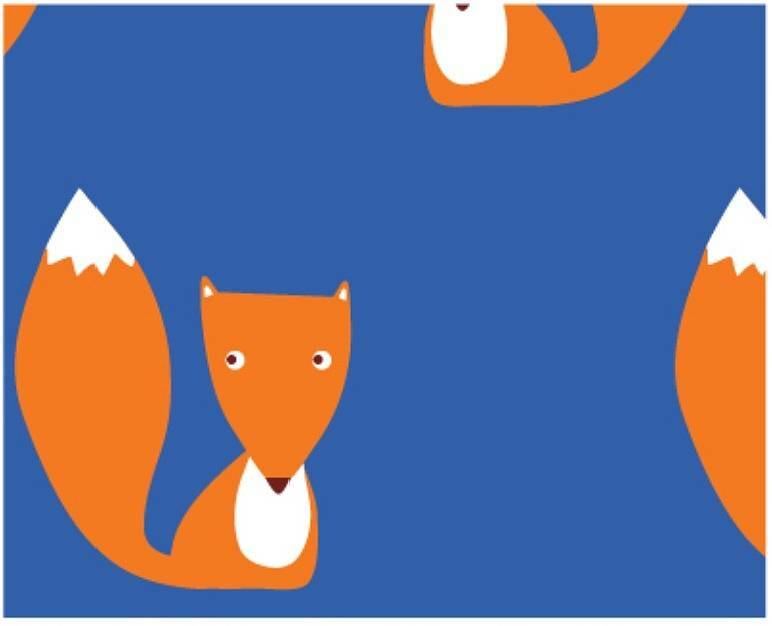 A cute blue fox design wrapping paper - great for many occasions and all ages. Lovely orange and white fox print wrapping paper on a navy blue background. There is a matching birthday card available to make a great gift set. Each sheet measures 50 cm x 70cm and is printed in the UK on card from sustainable forests. When ordering 1-3 sheets of paper, they will be folded and shipped in a board-backed envelope. 5 or more sheets will be rolled and shipped in a postal tube. 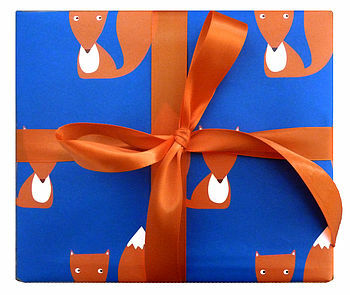 Can we tempt you to have a look at our great range of cards and wrapping paper? We have over 50 to choose from! Printed on paper from sustainable forests in the UK. This product is dispatched to you by Toby Tiger. The wrapping paper will be delivered in a postal tube to avoid folding the paper.